The 11th International Mining History Congress was held in Linares, Spain in September 2016 and widely regarded as the best ever. A week before joining the Congress, delegates from the Shropshire Caving and Mining Club explored historic mines and related structures in the West of Andalucía and Castilla-La Mancha. First week Rio Tinto Museum & Peña del Hierro opencast mine. 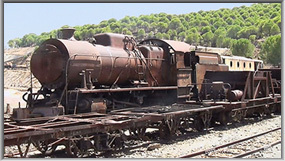 Rail journey beside the deep red Rio Tinto river, passing buildings and slag piles from many eras of mineral dressing and smelting, plus railway locomotives and rolling stock. San Antonio mine, huge trucks in Cerro Colorado working opencast mine, English housing exhibit and Corta Atalaya open pit all in the Rio Tinto area. 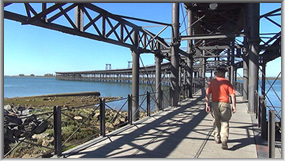 The well-preserved pier of the Rio Tinto railway in Huelva was visited - now a popular angling spot. 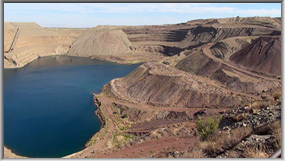 The large Aznalcóllar opencast copper mine. Extensive preserved open pit and shaft workings around the eastern shaft at La Zarza & Tharsis. 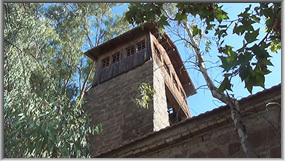 The picturesque Villanueva del Rio y Minas coal mine with its 'Malakoff' tower style headframe on the upcast shaft. The huge Peñarroya Company smelter site. Ancient and modern remains at Cerro Muriano. 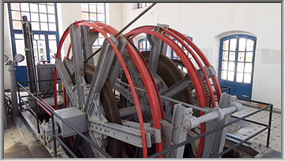 Excellent surface and underground tours of Almadén mercury mine museum and a trip to the Almadenejos horse whim. 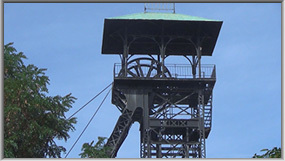 Puertollano coal mine museum, with its steel headframe and nearby sites. 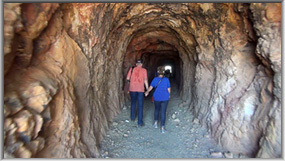 Not far away, the former railway tunnel to Horcajo mine village has been converted into a road and makes for an interesting drive. 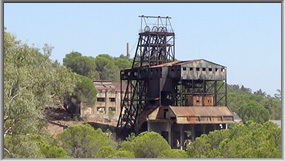 Buildings of El Centenillo mine, La Aquisgrana mining museum, Pozo Ancho Cornish engine houses and the nearby La Cruz smelter and preserved lead shot tower. 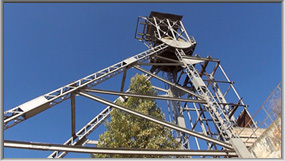 La Esmeralda headframe and buildings, Matacabras mine - the last to work in the area, and El Cobre, which still retains its headframe and cages. 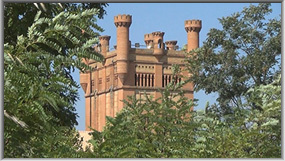 Linares English cemetery, La Tortilla smelter and shot tower, San Guillermo mine. Rounding the trip off at the vast excavation of Alquife opencast iron mine which closed in 1996 and may re-open soon. Thanks to Rob Vernon for researching and documenting the sites in the first part of this DVD and to him and our friends in the Colectivo Proyecto Arrayanes for organising the excellent 11th International Mining History Congress in and around Linares. The DVDs have over 180 chapter points, so it is easy to jump to your favourite subjects! Standard definition DVD copies benefit from the quality of the original High Definition recording.